Los Angeles, CA ~ In an 8-minute video news report, former U.S. Prosecutor Richard I. Fine describes his strategy for returning integrity to the California Court system and the reasons why State Superior Court Judges cannot sit on cases where they have received money from parties who appear before them. At a hearing on March 10, 2011, he is asking the Supervising Judge, Elihu Berle in Department 1, to rule on his Motion to Null and Void all Court Orders issued by Judge David Yaffe in a controversial Marina del Rey redevelopment case Marina Strand Colony II Homeowners Association vs. County of Los Angeles, et al. View exclusive video report here. Since September 2010, three other judges have refused to hear Fine's motion: Judge Yaffe abruptly resigned from office after refusing to hear the matter, Judge Ann Jones recused herself because she had discussed the matter with Yaffe, and Judge O'Brien refused a hearing but denied the motion. According to L A County Auditor's Records attached to Fine's Motion to Null and Void JudgeYaffe has taken over $850,000 in double benefits, payments from the County while sitting on cases where the County is involved as a party. Judge Berle has taken $637,000, and Judge O'Brien almost $300,000. Fine contends that by taking these payments from the County, the Judges are disqualified from hearing any case based where the county is involved based on the Judicial Canons of Ethics and the State Constitution's prohibition against such payments. PAY-TO-PLAY INFLUENCING SUPERVISORS ON REDEVELOPMENT PROJECT? Fine's court documents point to an alleged "Pay-to-Play" political contribution scheme between the Del Rey Shores developers and the elected County Board of Supervisors, who have given over $350 million in double benefits to all the L A. County Judges since 1987. Fine states that Marina del Rey Developers Jerry and Pat Epstein and their development partners, Hollywood icon Kirk Douglas and his wife Ann Douglas, have given Supervisors thousands of dollars in contributions since 2008, a fact that Fine contends makes illegal the votes in favor of the controversial project. Richard Fine was the former attorney representing homeowners who oppose the development at the time he landed in L A County Jail in solitary "coercive confinement" for 18 months for "civil contempt" of court. This was an unusual occurrence for a prominent former U. S. Prosecutor who served in the Department of Justice in Washington D.C.
WHAT WILL JUDGE BERLE DO? A total of three Superior Court Judges have refused to hear Richard Fine's ten page Motion to Null and Void all Orders issued by Yaffe in favor of the Del Rey Shores development. Now a fourth, Judge Berle, is faced with the same decision. Will he refuse to hear the matter too? Is there any Superior Court Judge who is not conflicted by the County double benefits that can hear this case? 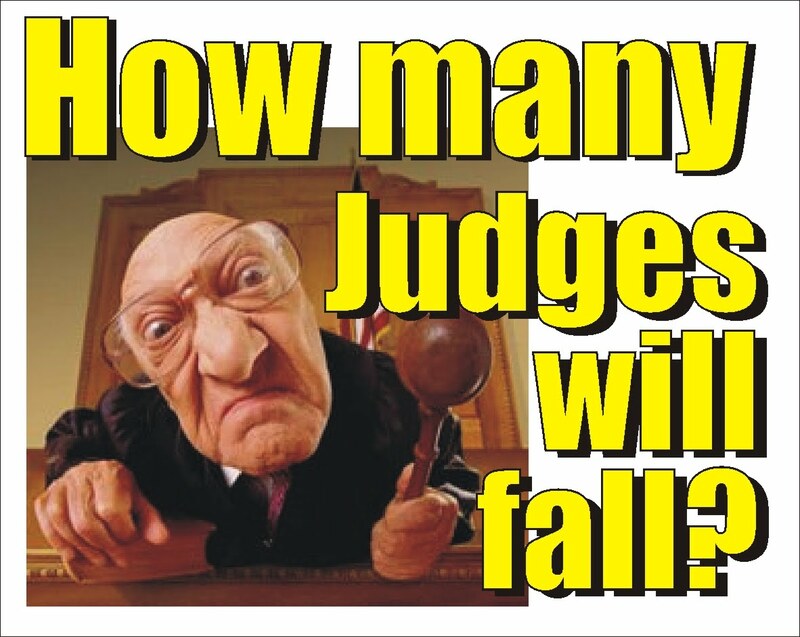 Is there an honorable judge left in LA county? It appears not. Where's NSA, the FBI, the USDOJ, the Attorney general, the sheriff? None of them want to open this can of manure because it'll take down the entire government of California. They've all collaborated in this assault on the people of California's right to due process, the right to a fair trial, and honest services by those who took an oath to uphold our constitutional rights, over their self interest's. Our court system is nothing less than a dog and pony show, a sham, a criminal enterprise. The sooner people realize this the better. Thank you Full Disclosure for having the integrity, and gut's to keep this in public view. "Airport security"-hell, it's a National security issue, and an absurdity that our government is so incompetent,to allow this to continue. Impeach Obomber.